Today when disruption is changing the workplace at an unprecedented rate, learning is at the center of the businesses to engage and retain employees. According to a KPMG study, CXOs are now realizing that one of the main reasons why employees leave is the lack of learning opportunities within the organization. 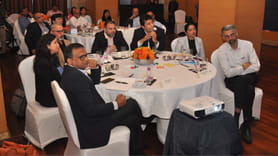 It is time for organizations to change the rules of the game with innovative and disruptive L&D strategies. What are these new rules? How are companies anticipating changes and creating opportunities to fuel the next frontier of growth? How are they using technology to bring about changes in their learning culture, to develop new capabilities that will drive growth? As a precursor to People Matters L&D Conference 2018, join this exciting tweet chat where the global leaders come together to deliberate on key priorities for learning amidst a slew of new technologies and changing business models. With machines replacing repetitive tasks, how can L& D leaders design learning interventions to help the workforce adapt to this new world of work? 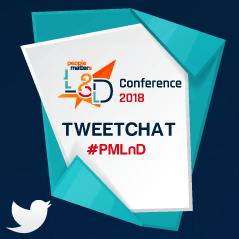 To participate in this tweetchat please use the hashtag #PMLnD and tweet your answers to the respective question number (e.g. Q1/A1) during 7:00 PM to 7:30 PM IST on 25th Sep.